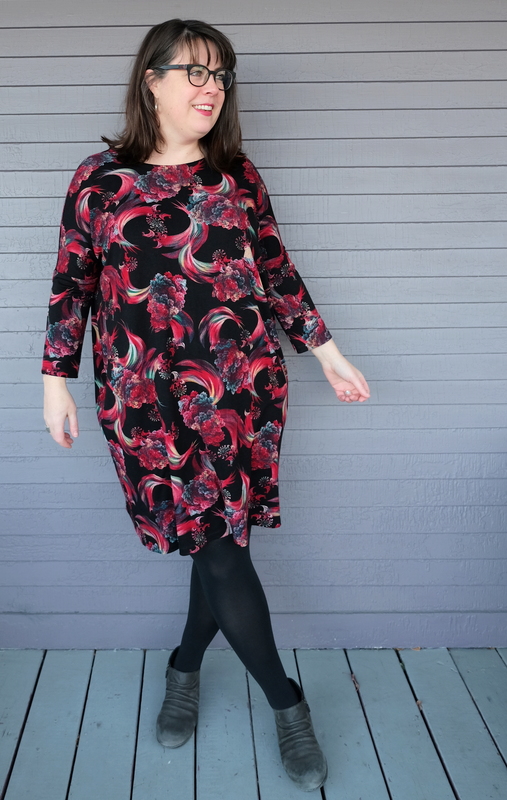 One of the patterns that’s been all over sewing Instagram in recent months has been the Seamwork Tacara dress. 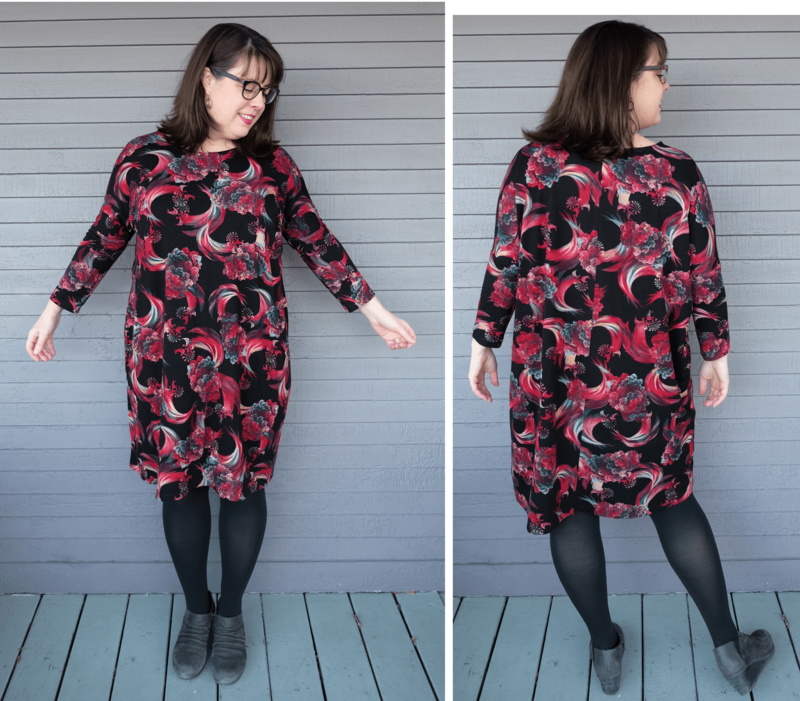 Normally, I tend to stay away from dress patterns without some sort of waist definition, but I was drawn to the Tacara by a few cute curvy versions that I’d seen, and I was also sold on how everyone raved about how comfortable this dress was. Unlike a lot of popular-on-Instagram indie patterns, the Seamwork Tacara actually has a nicely inclusive size range. 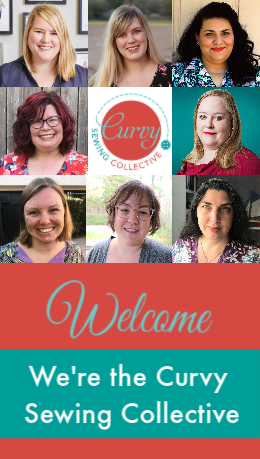 When I asked around among the Curvy Sewing Collective editors and a few of our regular contributors, I found that several of us were intrigued by this pattern, making it a good candidate for us to write up a Same Pattern, Different Bodies post! Body Shape: Pear-ish? Dairy-ish? I don’t run except for a Bus-ish (definitely) I have a wee tum, with generous hips & thighs. I’ve had some major surgery on my left hip, so occasionally my hems look a tad wonky in photos. Usually the hem is straight, it’s me who is on a slight lean! Pattern size used: I originally cut a Size 16, but after my first sew, I went down to a 14, there is a LOT of ease in the main shape of this pattern. However the sleeves, depending on the stretch of your fabric, run quite small. 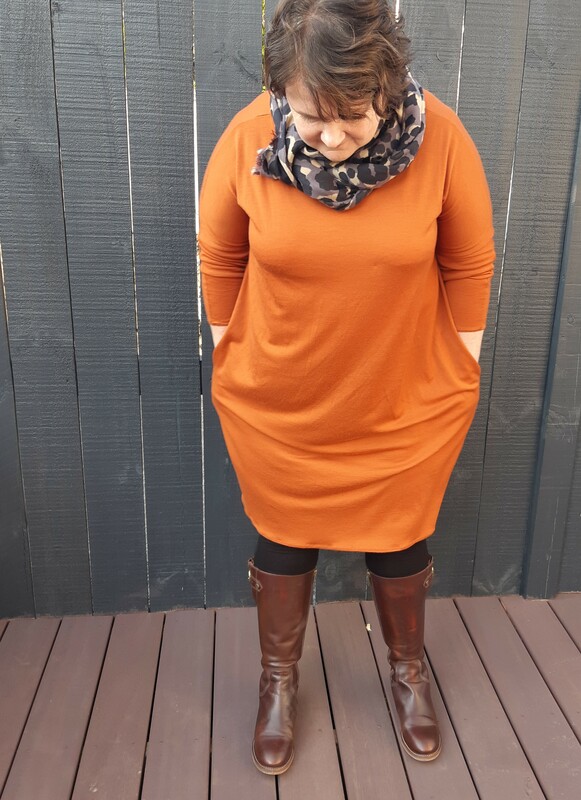 Fabric: The first version was a rayon knit, which in hindsight (so clever) was too thin, the second a gorgeous merino knit from https://thefabricstoreonline.com/collections/merino-knit-fabrics/products/premium-merino-195gsm-paprika . Merino is made for this pattern, the weight, the drape, the gorgeous colour options all make the most of the simple shape. Fit: Really pleased with the fit eventually, it just took me a bit to get there. Changes for future versions: I will use a much wider hem on the next version, (to avoid the horrible wavy one I managed), and would cut the bottom of the pattern on slightly more of a inward taper, to emphasize the cocoon shape. Another idea would be to add a wide band around the bottom, possibly in a contrasting colour. Merino isn’t cheap so that would also be a good use for leftover pieces. Final Thoughts: I’m torn on this one, I actually really like the finished product, but for a relatively simple shape, it took far too much work to get there. Pattern size used: I cut a size 14, which corresponded with my bust size, but would be too small for my hips, figuring the Tacara would be somewhat “free size” in the hip. Alterations: None, except to skip the in-seam pockets (*ducks tomatoes*) because a) I hate in-seam pockets and b) I especially hate knit in-seam pockets. So floppy. Fabric: A lightweight, drapey rayon blend ponte in a print that I am calling the psychedelic cauliflower. Fit: I’m quite happy with the fit! It’s as I expected: super roomy through the body with slim sleeves. The proportions look great, methinks! When I was cutting out my Tacara, the look of the super narrow sleeve pattern pieces made me nervous. I do a full bicep adjustment like 90% of the time (I think I could do it in my sleep now! ), so slim sleeves are a red flag. I considered adding width, but ultimately decided not to, mainly because I had enough fabric to cut new sleeves if necessary. It worked out, though! 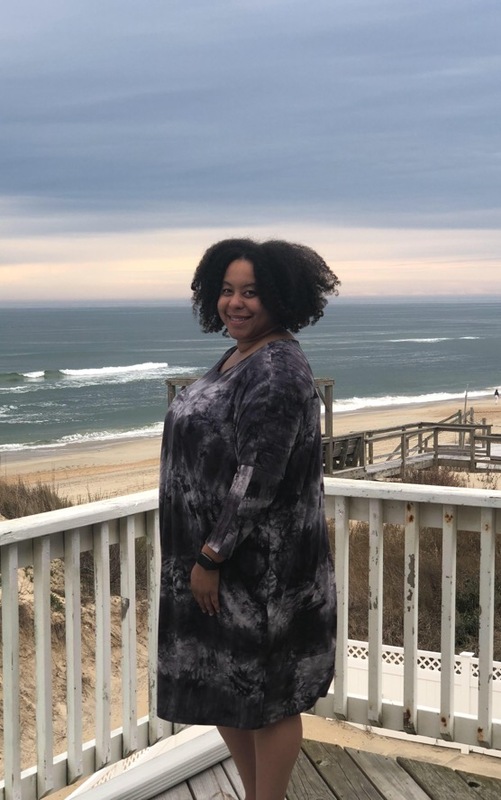 I think the reason the super slim sleeves work for me is that the seam between the dress and the sleeves hits low enough on my arm that it’s not cutting across the widest part of my bicep, which often happens with this type of dress. It’s closer to the elbow where my arm begins to narrow, so it’s not annoying me or squeezing my arm. Hurrah! Changes for future versions: I don’t think I’d change a thing! I am pretty delighted with my Tacara. Got lots of compliments at work when I wore it, although I suspect some of them may have been of the “Whoa, that fabric, dude!” variety. Pattern size used: Based on the comments that I’d read on Instagram, I chose to size down a couple of sizes from the Seamwork size chart and sewed a size 16. There’s still a nice amount of ease (in line with the cocoon style), but I’m not swimming in the dress, either. Alterations: I shortened the dress by 2.5″. After reading many comments about the pocket placement being too long, I also raised the pocket placement by 2.5″. Note that as others have said, the sleeves on this are a bit snug (which I think helps keep the cocoon shape from being overwhelming). I don’t normally do full bicep adjustments, but I probably could have done with a little more ease in the sleeve on this. Fit: I’m happy with the overall fit, but I’m glad that I’d read multiple Instagram posts recommending sizing down, prior to cutting my good fabric. Changes for future versions: I will probably add some ease to the sleeve in. Final Thoughts: I like this dress a lot more than I was expecting to. It’s super comfortable and was a fast and easy sew. I’ve been wearing mine a lot on weekends running around town–it’s definitely one of those “secret pajama” patterns. Alterations: After making it, I took in the side seams by 2.5 inches each for a total of 5 inches. I shortened it by about 8-10 inches. Fabric: Lovely wool jersey blend in Berry from DH Fabrics that I received for free. Changes for future versions: If (big IF) I were to make this again, I may just make it as a top since I think it would look great like that. Final Thoughts: I don’t think I love the shape of the dress. I do think there are ways to accessorize this that would make it look really cute, but overall I don’t think the style is for me. Wearing it around the house, however, it’s lovely and warm and comfortable to wear. Pattern size used: Straight size 16. Per my measurements, I should have a 16 or 18 bust and 20 waist and hips. 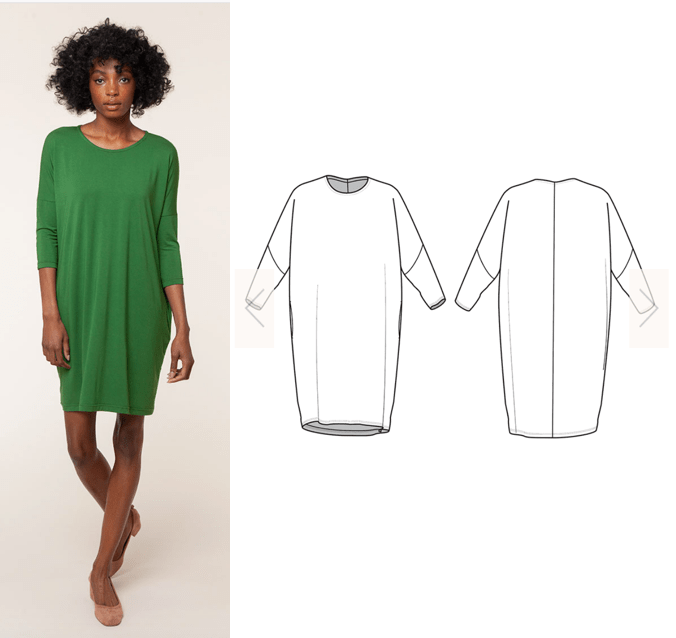 Seamwork doesn’t overlap their two drafts, one is for 0-16 and one is for 18-26, which makes it challenging for those of us whose measurements cross between the size ranges. Every time I make a Seamwork pattern, I have to decide which size range to go with. And for this pattern, the two drafts are wildly different. Be sure to open the PDFs of the print shop version and look at the differences in drafting before you decide which size range to make. Based on other versions of this pattern I had seen around the sewing interwebs, I decided to round down my bust size and cut a straight size 16 due to the oversized nature of this dress and the fact that the fabric I was using wasn’t very drapey. Alterations: Based on advice from others, I added 1″ to the sleeve. I’m not sure it was strictly necessary for me, but it worked out fine anyways. I think that an essential part of this pattern is maintaining the slim look of the sleeves to balance out the volume of the body. I cut this at the size 10 length. Fabric: This is an Art Gallery Knit from Stonemountain and Daughter. Honestly, I don’t think this was the best fabric choice for this pattern. It’s not quite drapey enough and I think the small scale print kind of looks like pajamas. I may end up cutting this off at top length and attempting the pattern again in a rayon knit that has better drape. Fit: I love the fit of this pattern, its relaxed and modern, though I am really glad I sized down. I think it would work much better in a different fabric. Changes for future versions: Next time I’m going to make this pattern in a much more drapey fabric. 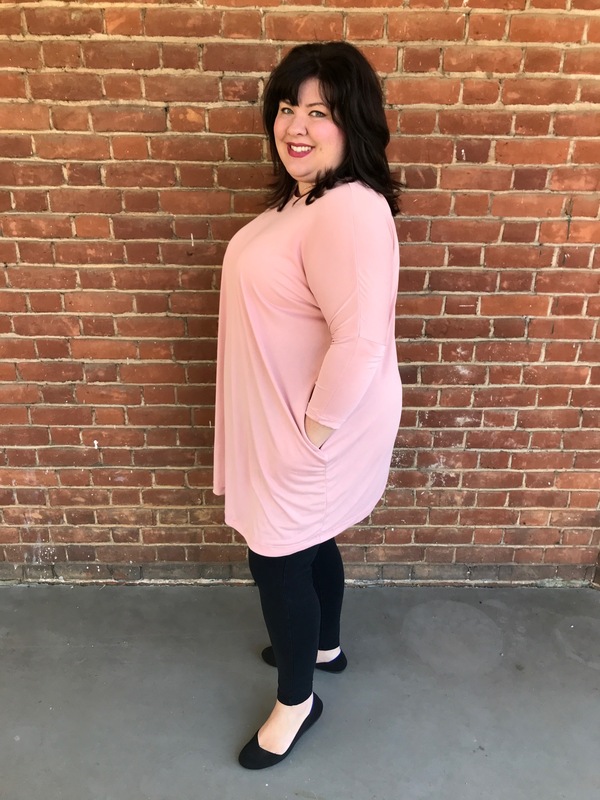 Final Thoughts: This casual dress works great for my everyday life and it is definitely something I can wear to my casual office environment, though I think it would look a tad bit less like PJs in a solid fabric. I’m excited to make another one and am still debating as to whether or not I should shorten this version into a top. 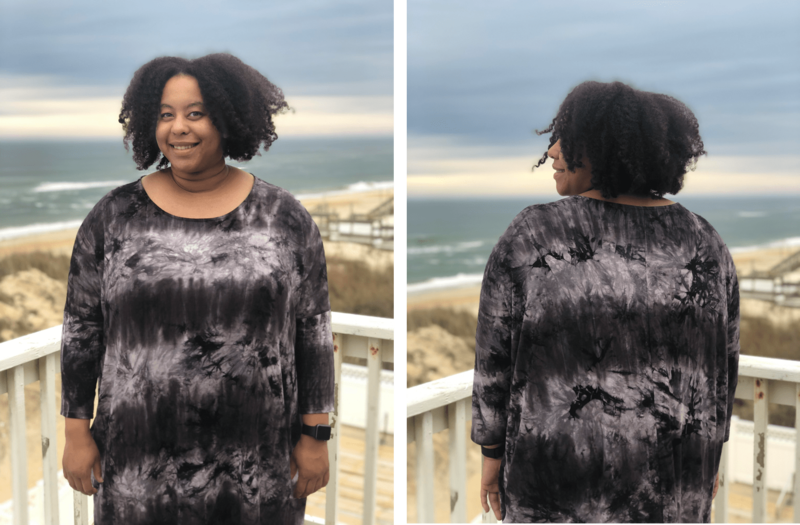 Fabric: I used a tie dye rayon spandex from Joann’s. Fit: I really enjoy this silhouette. The sleeves and shoulders are fitted and the rest is pretty boxy. I do wish that the bottom of the dress was a bit narrower, but I think my fabric affected the overall shape. This knit has a lot of drape and it stretched out. Changes for future versions: I will use a sturdier knit and angle in the dress at the bottom to achieve more of a cocoon shape. I will also shorten the length to just above the knee. I might move the pockets up a bit as well. Final thoughts: I really enjoy this dress. It’s very comfortable and I see myself trying this pattern in a variety of fabrics. I think it will be a great layering piece as well as something I reach for often. Alterations: I raised the pockets by 1.5 inches based on another review I read that said a higher pocket gave a better drape for the cocoon shape. 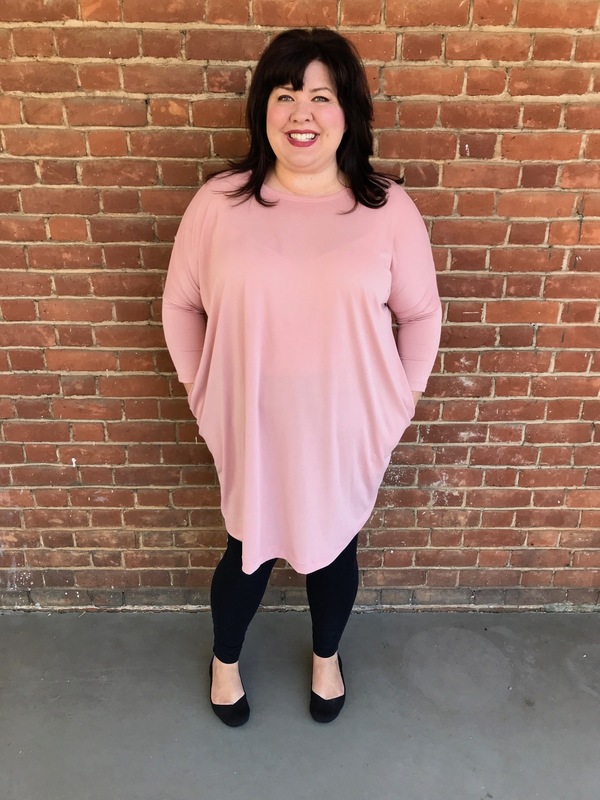 Fabric: I used a very soft, slinky modal jersey — it has a beautiful drape but not much stretch — maybe 15-20%. I’m excited to try this pattern is a mid-weight ponte to see how the added structure changes the look of the dress. 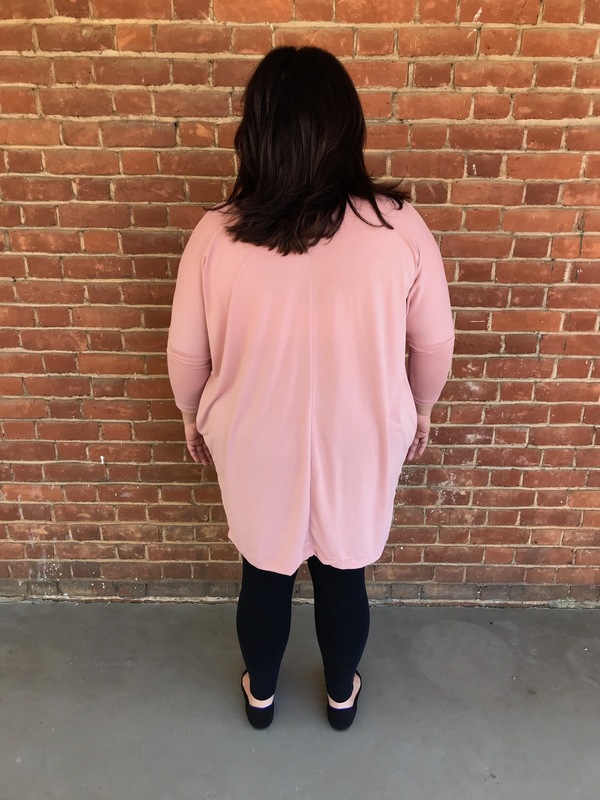 Fit: After researching a bit, it was pretty clear that the upper size ranges were coming up HUGE, so sized down 1 in the shoulder/bust and 2 sizes in the waist/hips. That gives the overall right fit, but made the sleeves a bit too tight. Changes for future versions: I’ll go up a size in the sleeves and scoop out the neckline another inch or two — I’m definitely not getting the beautiful scoop neck that the cover model is showing. Final Thoughts: Sack dresses are not my daily style, but this is undeniably a comfortable “put together” look. 8/10 would recommend. I love all these ladies in these dresses. They all look beautiful. I was wondering if the lady in the rust color dress would share with me how much fabric she bought for her dress. Thanks to everyone here for sharing your measurements! It’s so helpful to have an idea of how something might fit on my own body! Thanks for the multiple reviews. 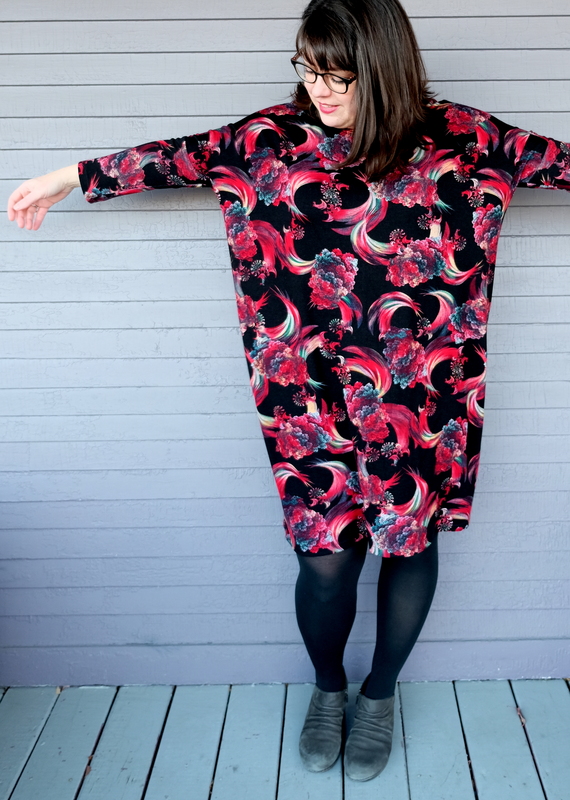 I have several credits on my Seamwork subscription and have been looking for a t-shirt dress. I think this might just be one. Thank you all for this article! It was both interesting and informative to see the final shape on the different bodies and to hear what you had to do to get there. This was a great article! 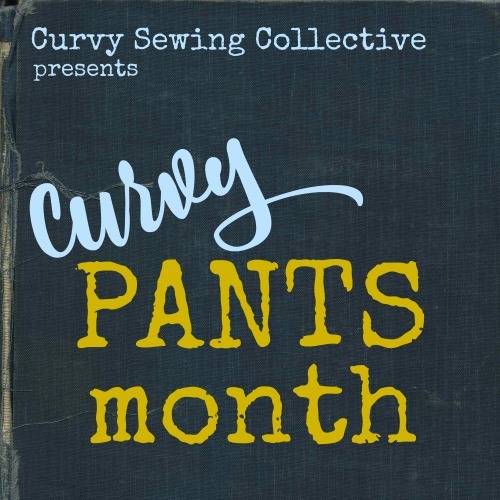 Thank you to all the sewists for joining in to show us every type of body! Love them all! 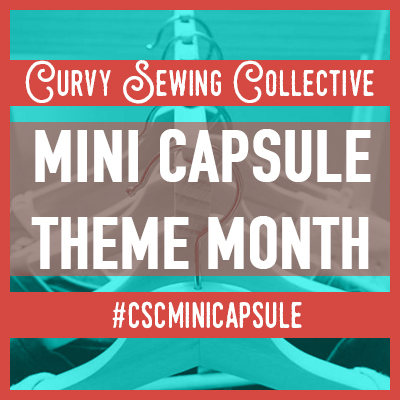 The Tacara was my spur of the moment last purchase when I closed my Seamworks subscription. I wasn’t sure I’d ever make it but I’d bought everything else that took my fancy and I’m chuffed to bits that I did!! Looking forward to making it for this winter. I loved hearing and seeing this dress from different perspectives! Thank you for a great overview on one place.